So you have your dream car. 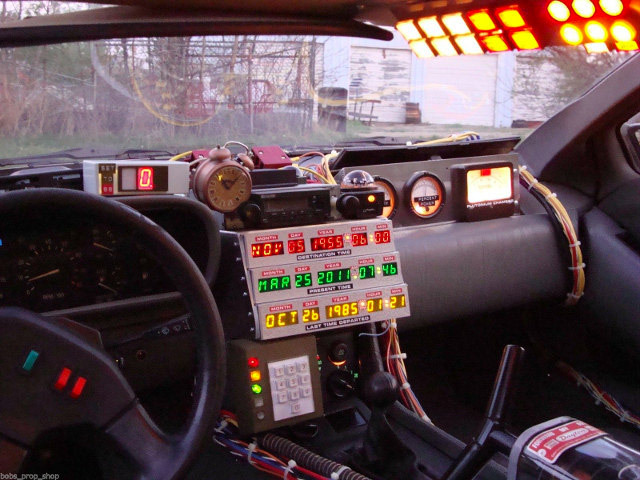 The DeLorean that you always wanted. However, it’s not what you thought it would be. 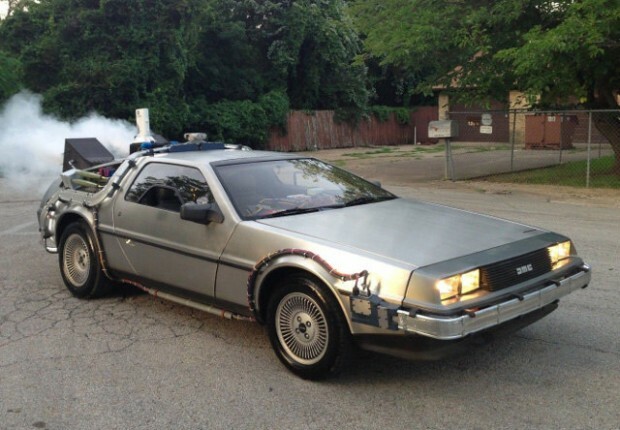 It still doesn’t look like the Back to the Future DeLorean. Well, Bob’s Prop Shop can help. They are selling a full-scale prop kit to convert your plain jane DeLorean into a replica of the time-traveling DeLorean for just $29,999. The side pontoons are decorated with all the capacitors, grids, pipes and things similar to our photos. The flux bands that surround the car are mounted on rubber brackets and thick wire bundles are added along the sides of the car and mounted to the “flux boxes” which are mounted to the fenders, roof and rear. The rear window is removed and replaces with a sealed aluminum rear bulkhead. The rear will feature the infamous “Mr. Fusion”, (Plutonium Chamber available for an extra fee). The interior will feature all the famous electronics seen in our photos and videos including the Flux Capacitor, Plutonium Gauges, Spectrum Analyzer, Time Drive Switch, Digital Speedometer and much more. Thick wire bundles are added along with many other high voltage parts on the dash, etc. *Fog Machine is optional as is extra battery/charging system. Now you will be traveling in style. Roads? You won’t need them.